What Books have you read that you would reread or recommend? I could recommend all of the Harry potter to be honest. Maybe I should start again as it's been several years now since I read one! "DUNE" There is own map of the story in the book. There is 4 books and DC in one book. Before I read those two novels this guy remained my favorite author of fiction and he's still my favorite short story author. My favorite from the above excellent collection (no longer in print as pictured) are: "To Build a Fire" and "Lost Face". I've probably read everything the guy wrote that's been printed including war correspondence (The Russo-Japanese war and the military expedition going after Pancho Villa) and sports reporting. 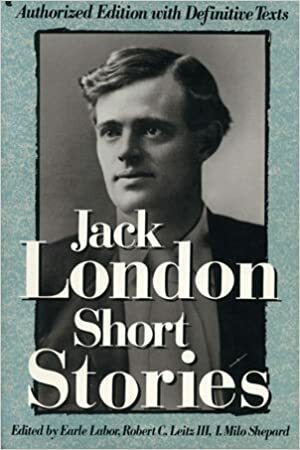 Speaking about Jack London short stories, did you ever read "A Piece of Steak"? I did but can't completely remember the plotline. I don't believe it's in any of the compilations that I have so I must've either read it in a school or public library when very young. Last edited by Zinger; 05-16-18 at 01:07 PM. +1 on Frankel. Also, Hermann Hesse's "Siddhartha". Other non-fiction fun reads, Toby Lester's "Fourth Part of the World: The Epic Story of History's Greatest Map", Simon Singh's "Fermat's Last Theorem", and John Gribbin's "The Scientists: A History of Science Told Through the Lives of Its Greatest Inventors"
For fiction, all of Jane Austen. Like Patrick O'Brian's novels, I appreciate Austen's novels more each time I read them. Good to see somebody mention Umberto Eco. Read "Il nome della rosa" (1980, The Name of the Rose). Loved the concept, the era, the characters. IMO, the writing in this particular story is fairly dense but it has great plot, characters. Haven't read "Il pendolo di Foucault" (1988, Foucault's Pendulum), yet. Just might do that. The writer passed away a couple years ago, sadly, but was a prolific writer. You'll enjoy Foucaults' Pendulum. It's not so much a cohesive novel as a journal structured like Frankenstein and Dracula. It works well for the nearly encyclopedic coverage of spiritual and myth anecdotes that Eco weaves together to create a plausible conspiracy scenario. I reread it every few years and my hardcover version is filled with underlining, margin notes and Post-It Notes. Every time I reread it there's something newly relevant based on current events. The story and characters aren't classically picaresque, but there's something about it that invites the reader to associate with it and imagine hiimself/herself in the story.